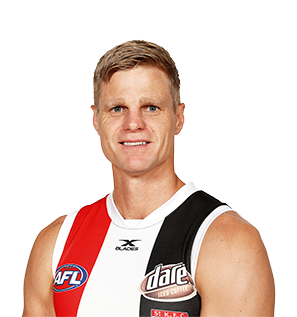 St Kilda’s longest serving captain Nick Riewoldt will join an exclusive clique in 2016, becoming just the fifth player in the club’s history to play 300 games in red, white and black. The six-time Trevor Barker Award winner has an illustrious CV and heading into his 16th season at the Saints, Riewoldt still plays a pivotal role in Alan Richardson’s young side. The 33-year-old champion forward endured a difficult 2015 season, but still managed to be a key contributor, finishing 7th in the best and fairest, averaging 16.9 possessions and 9.7 marks across 17 appearances. With the emergence of Josh Bruce last year and the ongoing development of Paddy McCartin, St Kilda’s forward line looks potent in 2016.